Darts is a fun and challenging game that builds hand-eye coordination and fine motor strength; however, conventional darts can be dangerous, especially for kids. The sharp points can stab you or hurt someone who accidentally gets in the way of a throw, but that doesn't mean that you have to forgo playing darts in your home. 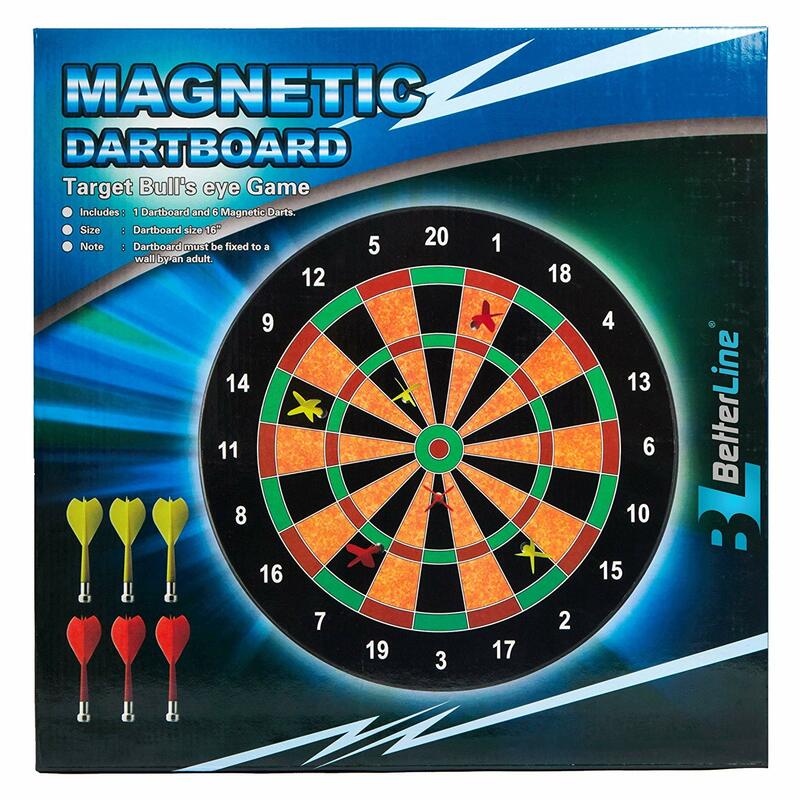 The Better Line Magnetic Dart and Fabric Dart Board Sets make the game of darts plenty of fun and so much safer! 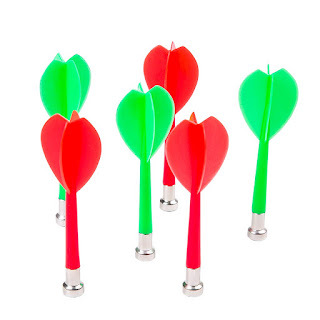 With the Better Line Magnetic Dart Set, darts cling to the board with strong magnets rather than with metal points. As a result, the game is safe for children aged 6 and up and for teens and grown-ups to enjoy. 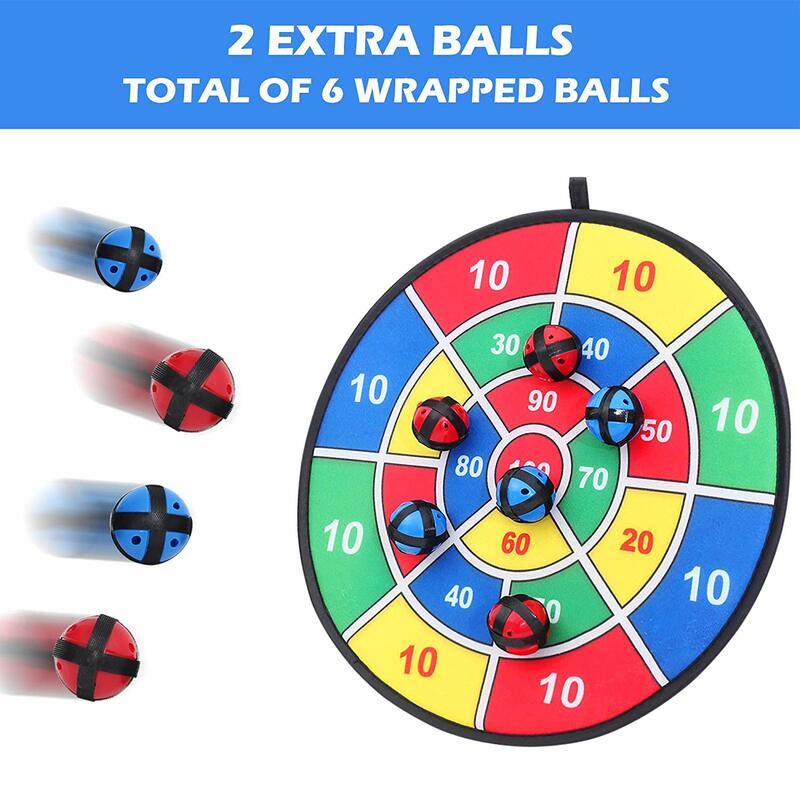 And, with the Fabric Dart Board set uses hook-covered balls in place of darts, that you throw at the target and they stick. No need to worry about dart holes in the wall with this fabric dart board set. Recently, my girls found my husband's old dartboard when they were playing downstairs. They almost gave me a heart attack when they came into the kitchen holding the conventional darts we think of when they think of the game of darts. My oldest wanted to show me how she could throw it, and I quickly grabbed them from her hand, before she hurt herself or broke the glass of the window she was aiming the dart at. I told the girls that this dart board set was not made for kids, and that we would have to look for one that was safe enough for them to play. 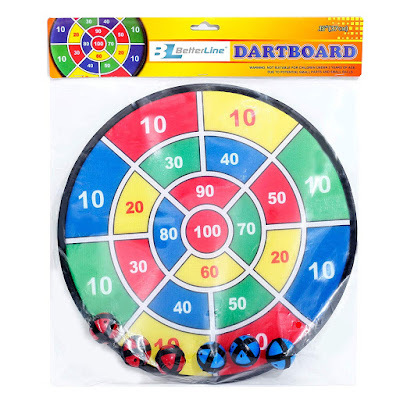 They had played with magnetic and fabric darts at carnivals and state fairs in the past, so they knew how much fun and challenging the game of darts can be. I told them I would look to get them a dart board set and that we could play darts at an upcoming family game night. 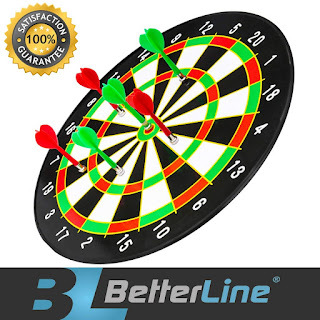 Before I could go and place an order for a safe dart board set for kids, the folks at BetterLine, who have an Amazon storefront, reached out to me to see if I wanted to review their fabric and magnetic dart board sets. 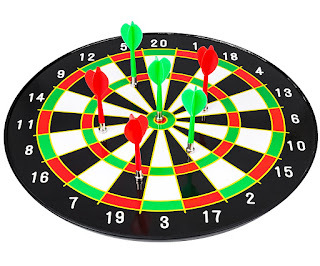 I jumped at the opportunity as I was planning to one anyways, and after reading all the rave reviews of their dart boards for kids and adults, I knew this was just what I was looking for. In the next few days, i will be receiving samples of their fabric and magnetic dart board sets to review, and will share more personal thoughts and photos with you, so stay tuned for an update to this post. But, in the meantime, I wanted to make sure you knew about BetterLine's line of dart boards -- both magnetic and fabric, as well as ones for adults, that would make great gift ideas for the whole family, or even your husband's man cave. EASY TO USE: Just hang the fabric board to a wall and use the Hook-and-Loop balls to aim at the target. Each player has 3 balls to throw on their turn. The player that scores the most points by adding the hit numbers on the board wins. 100% HASSLE-FREE GUARANTEE: BetterLine strives to provide quality products and service. While our products are made of high-quality material, should you have any issue with your purchase, feel free to contact us for a full refund or exchange. Your happiness with your purchase is our #1 priority! Let me just start by saying that I forgot how much fun darts is, and that I never thought of it as a workout. 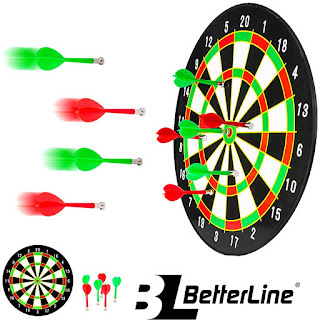 But, after receiving the two dart board set samples from BetterLine yesterday, and the girls not wanting to wait until this weekend to setup and play, I found myself sweating, while laughing and having a great time with my girls, and then my husband when he came home from work, playing darts -- the safe way. 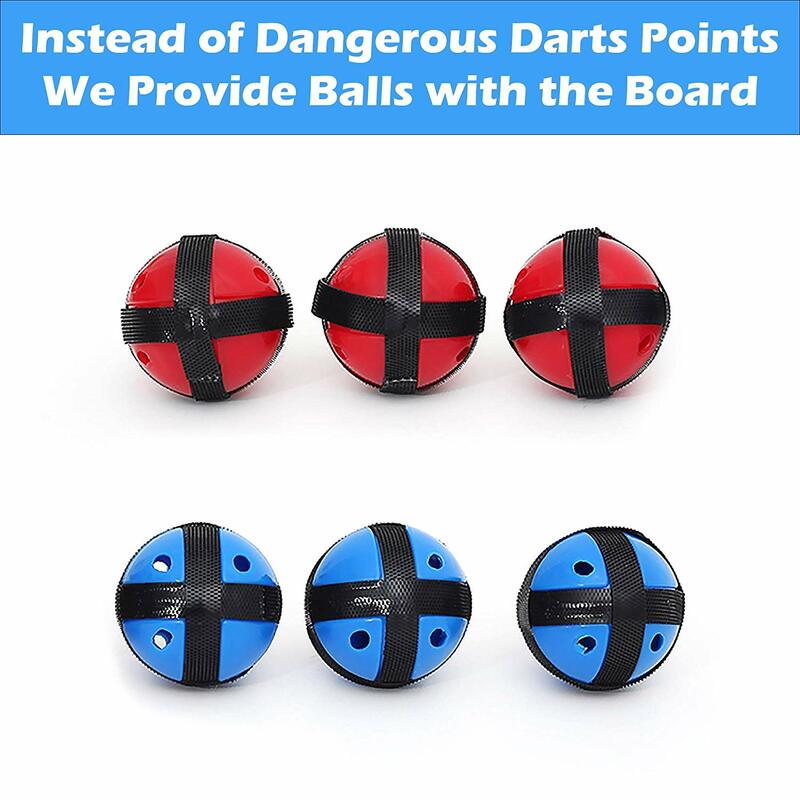 The reason why I say "safe" is that these two dart sets from BetterLine are made with kids in mind. No worries about sharp needles at the tips of the darts, as they sets are made with either Velcro dart balls, or magnets at the bottom of the dart piece. 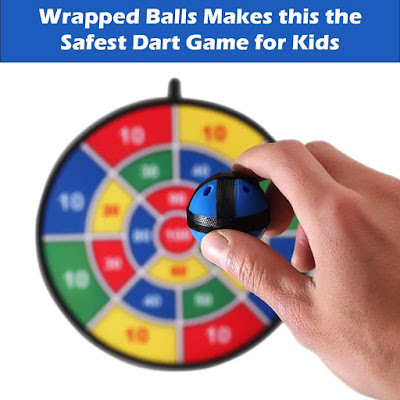 In addition to being safe for kids all ages to use, parents will love these "safe" features as they will prevent holes and other damage to walls around the dart board. I ended up putting one dart board -- the one with the Velcro balls went into our oldest daughter's room at her request, and the magnetic dart board set went into my other daughter's room. We received these two dart board sets yesterday, and the girls haven't stopped playing with them. As soon as they woke today, they created a scoreboard on a sheet of paper, and then got in a few dart games in each other's room before they came down for breakfast.